All the flavors of spring come together in this ravioli that makes its own sauce. Combine ricotta, garlic, basil, dill, lemon juice, and zest from 1/2 lemon, and a pinch of salt and pepper in a bowl and stir to combine. 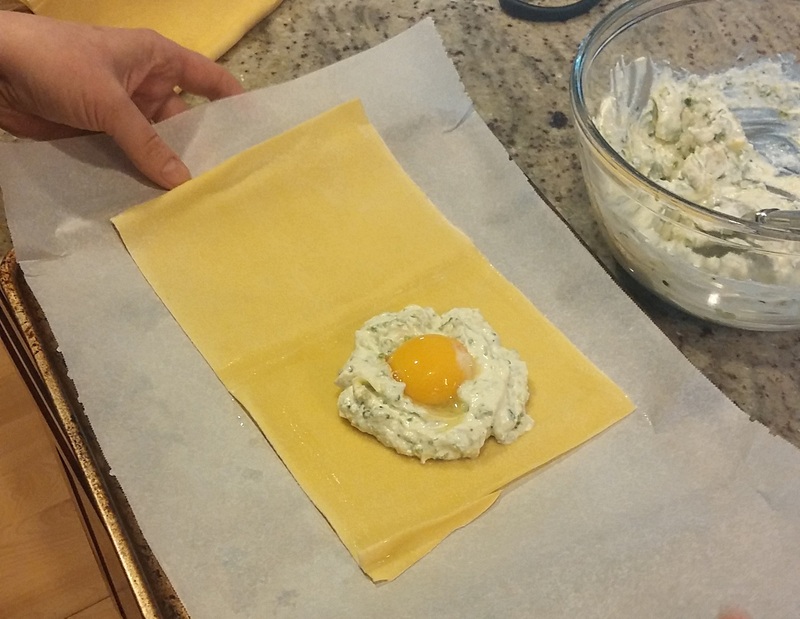 Lay pasta sheets flat and place 1/4 cup of ricotta on one side of the sheet, forming a well for the yolk. 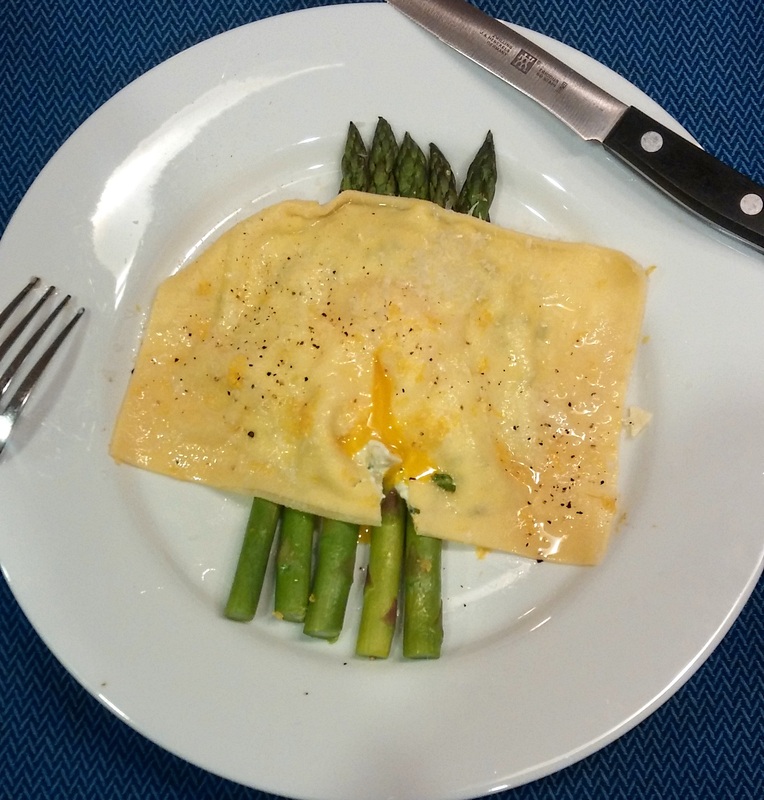 Carefully place egg yolk in ricotta well and fold pasta sheet in half to cover yolk and ricotta. Wet the open sides of the pasta with egg white and press firmly to seal. Heat a large pot of salted water to a gentle boil. Using a large slotted spoon or spyder, carefully lower one ravioli into water and allow to cook for 2 minutes. After 2 minutes, use slotted spoon to remove the ravioli from the water and place directly onto a plate. Complete 2 minute cooking process with remaining 3 ravioli. Drizzle cooked ravioli with oil or melted butter and season with salt and pepper. Garnish with lemon zest and optional parmesan.